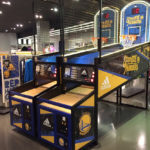 NBA Hoops LED Basketball Arcade Game is officially licensed basketball game by NBA. 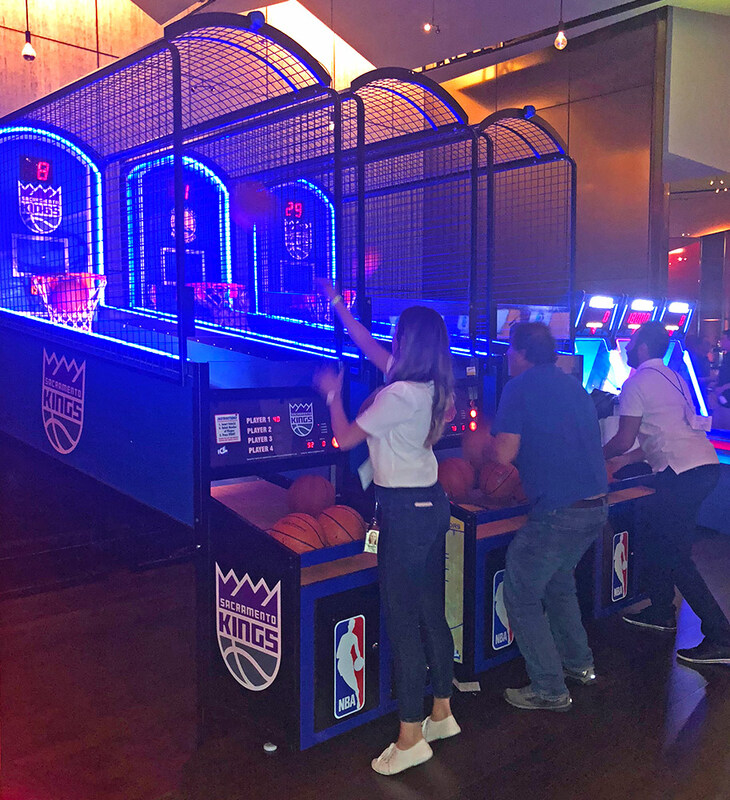 NBA Hoops LED Basketball Arcade Game is a commercial basketball game from Innovative Concepts in Entertainment (ICE Games). 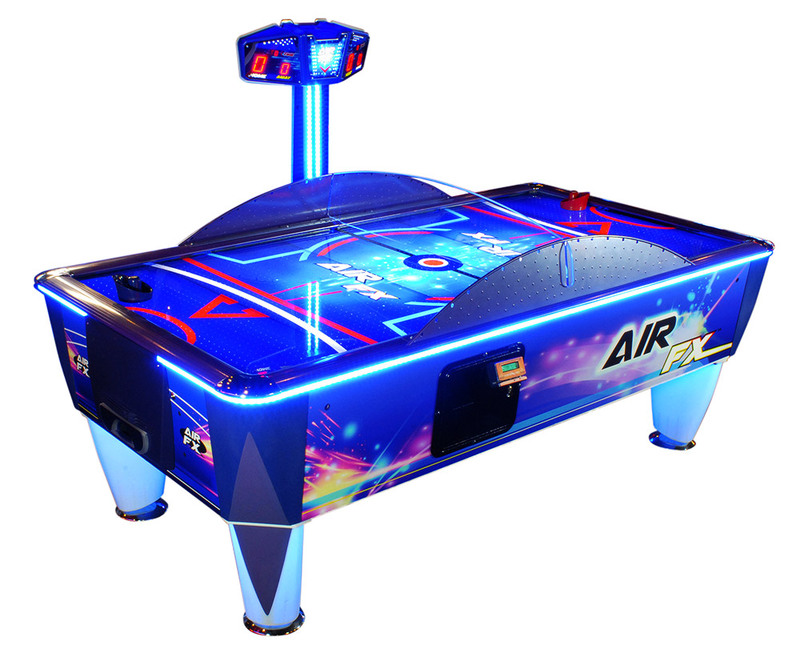 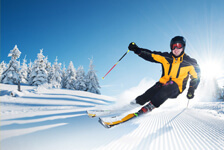 ICE Games is the leading manufacturer of some of the most popular and iconic games. 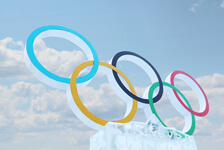 Some of the famous titles are: Ice Ball FX, Super Chexx, Major League Baseball, NFL 2 Minute Drill, NBA Hoop Troop. 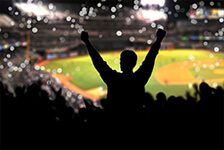 Many are currently in our game portfolio. 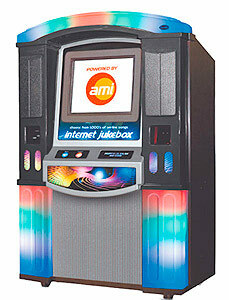 They are also favorites in arcades and game rooms in 80 countries throughout the word. 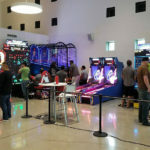 Including Dave and Busters and Chuck E Cheese here in United States! 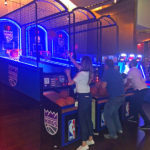 NBA Hoops LED Basketball Arcade Game for rent is newly redesigned Hoop Fever basketball game with an all metal frame. 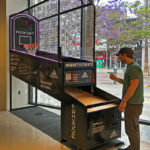 Adjustable front cabinet, hardwood floors, NBA sized hoop to accommodate a 9” basketball for greater win ration. 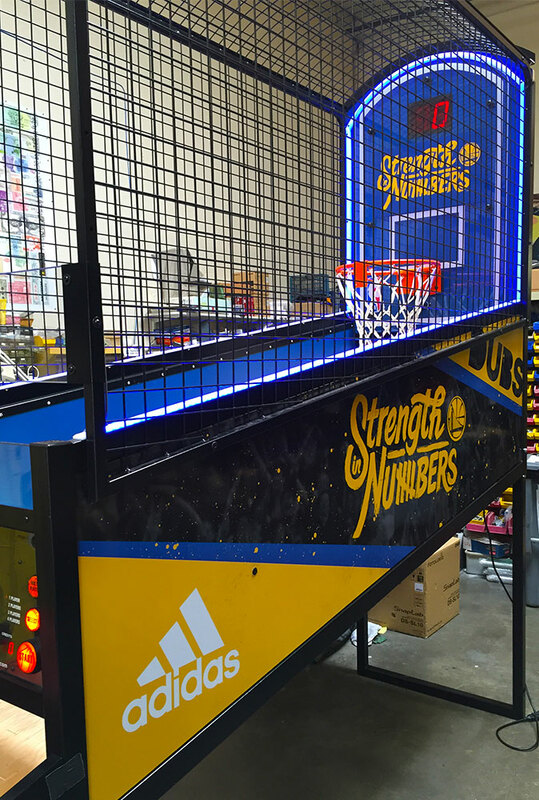 Sturdy backboard for more realistic scoring and durability and selectable colorful LED lighting. 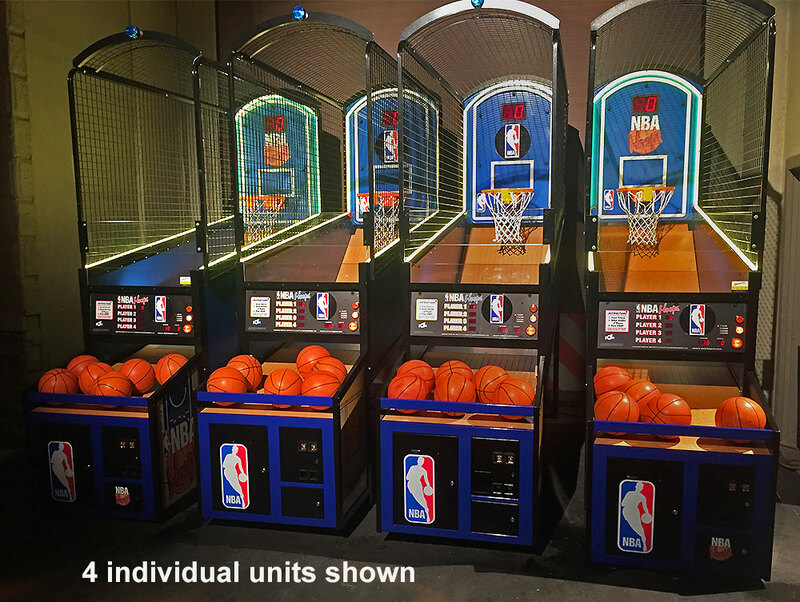 NBA Hoops LED Basketball Arcade Game game for rent with LED lights is a very attractive colorful game. 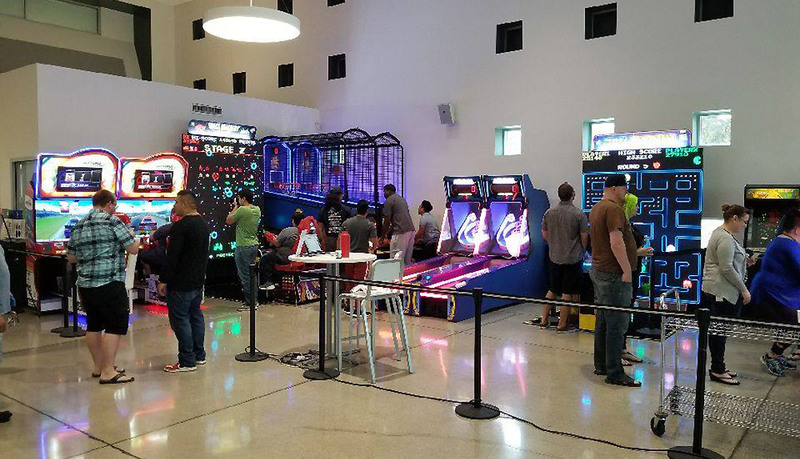 The game is designed to be focal point in any venue with fully adjustable LED lights. 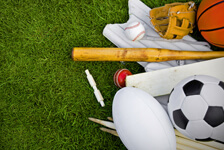 Great game to play tournaments during March Madness season. 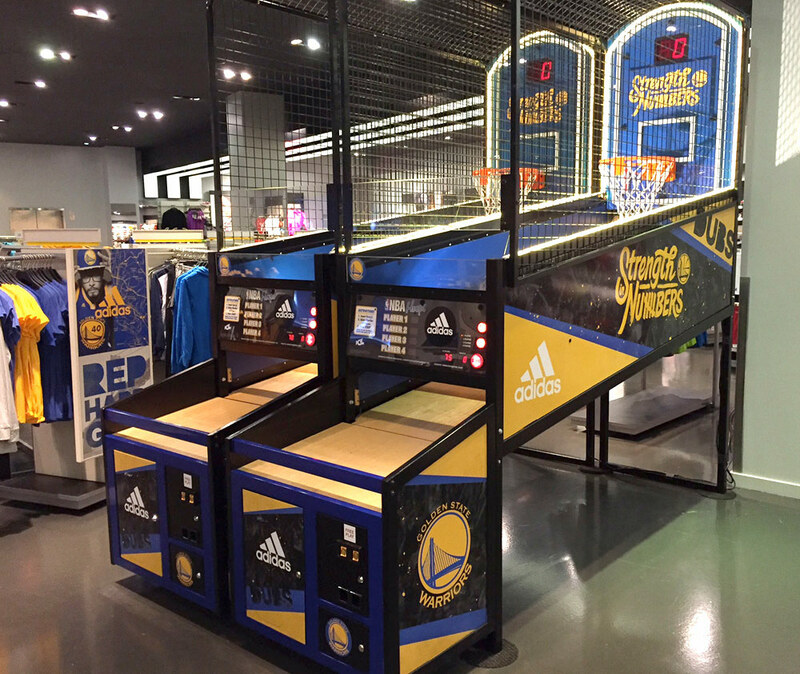 NBA Hoops LED Basketball Arcade Game game for rent is a cool and sleek. 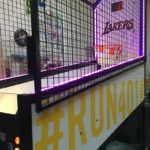 LED illuminated basketball game that will keep the guests entertained for hours. 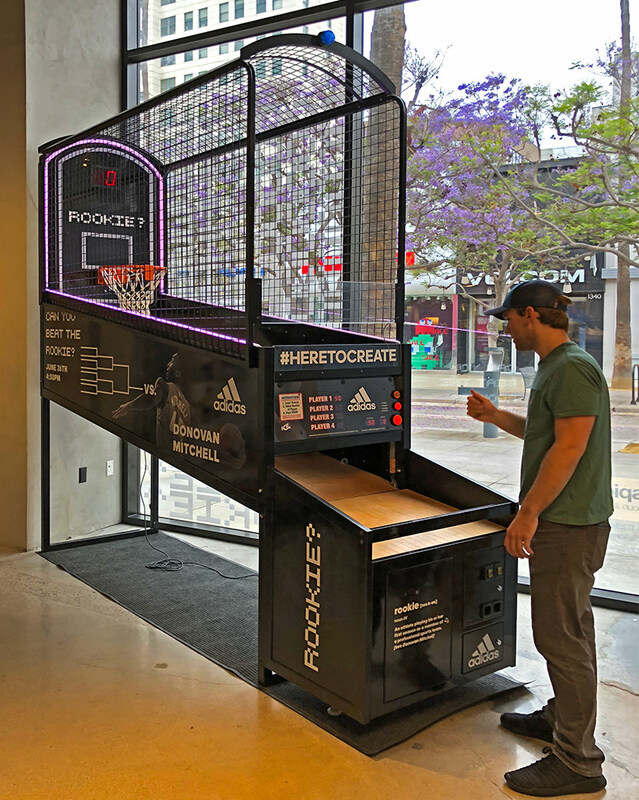 The rented game comes in “generic NBA” licensed graphics. 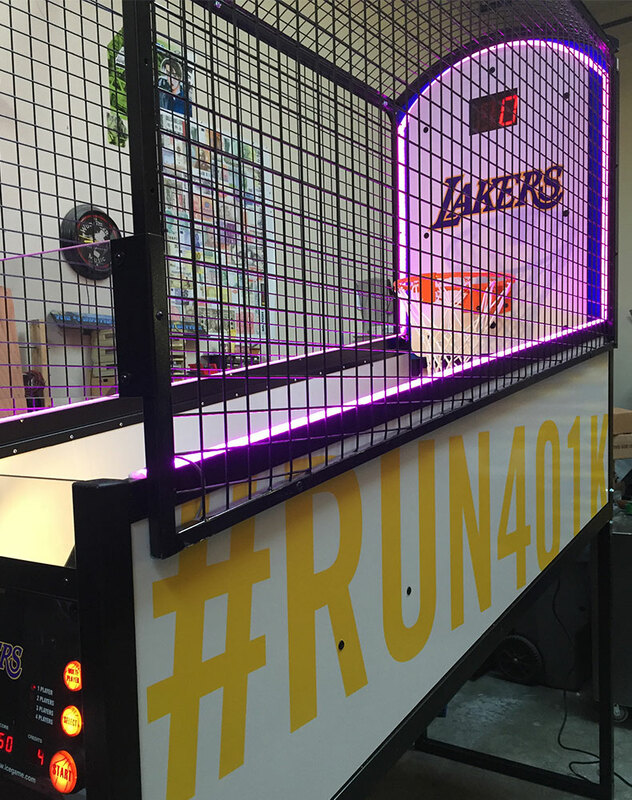 Upon request, we will decorate rented NBA Hoops LED Basketball Arcade Games with LED lights any colors and logos of your favorite basketball team, your company logo or custom graphics to make your company stand out at any event or trade show. 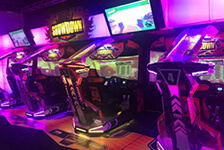 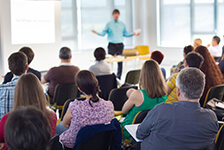 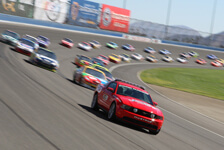 Multiple rented games can be linked for “Head to Head” competition. 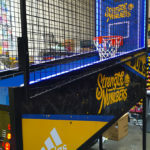 Video Amusement will deliver rented NBA Hoops LED Basketball Arcade Game Rentals in California, San Francisco, San Jose, Santa Clara, Santa Cruz, Palo Alto, Monterey, Sacramento, Los Angeles, San Diego, Silicon Valley, East Bay, Central Coast and Bay Area cites as well Las Vegas Nevada and up and down the entire West Coast. 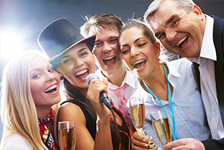 Let’s have a party during March Madness tournament season!